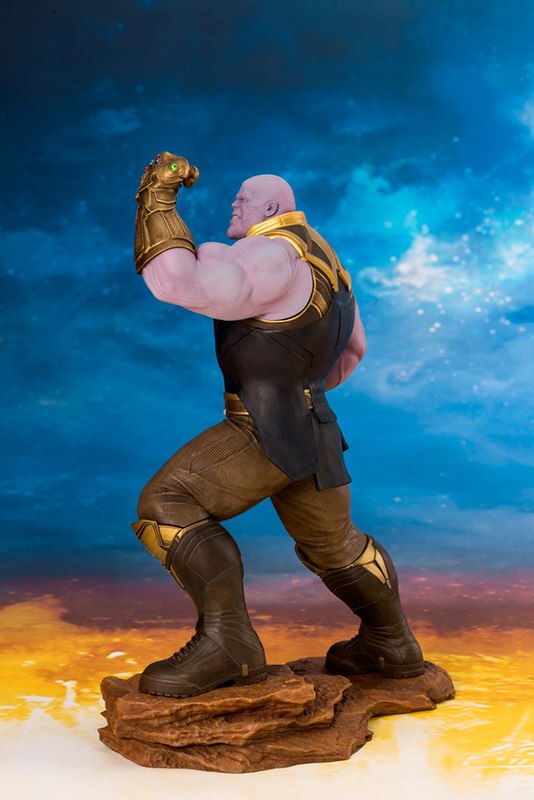 The newest, and arguably most dangerous villain from the Marvel Cinematic Universe, THANOS from AVENGERS: INFINITY WAR joins Kotobukiya’s ARTFX+ line! 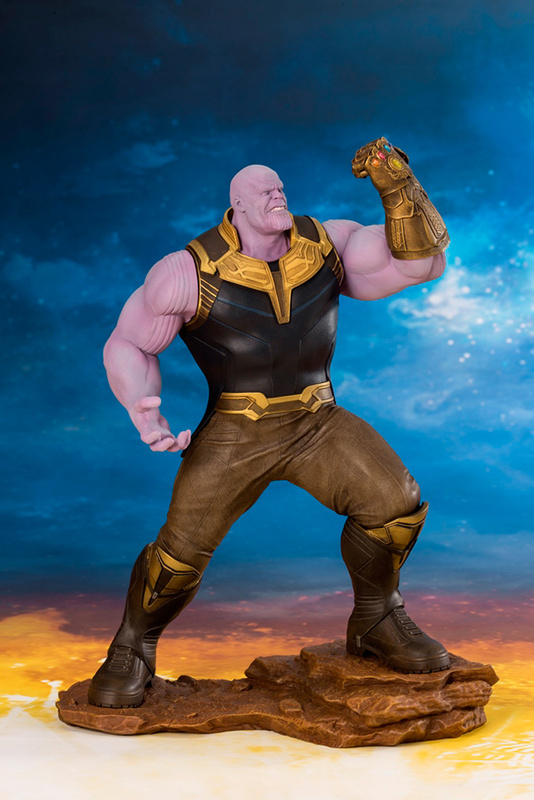 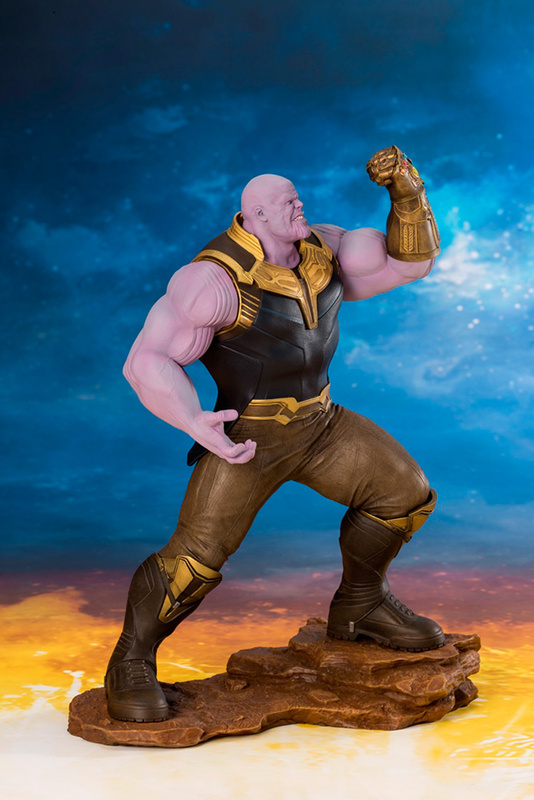 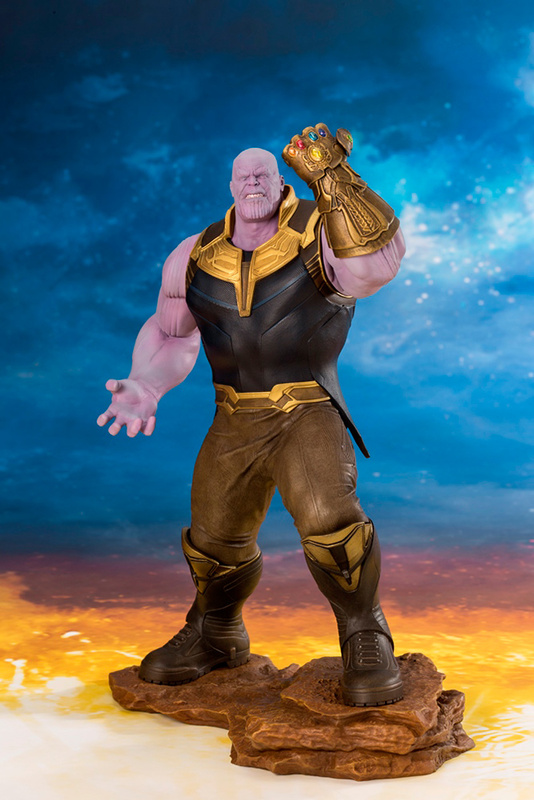 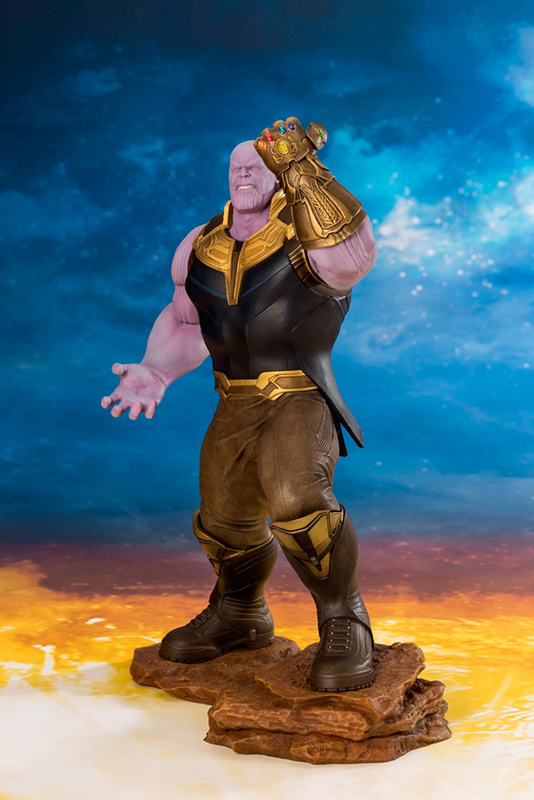 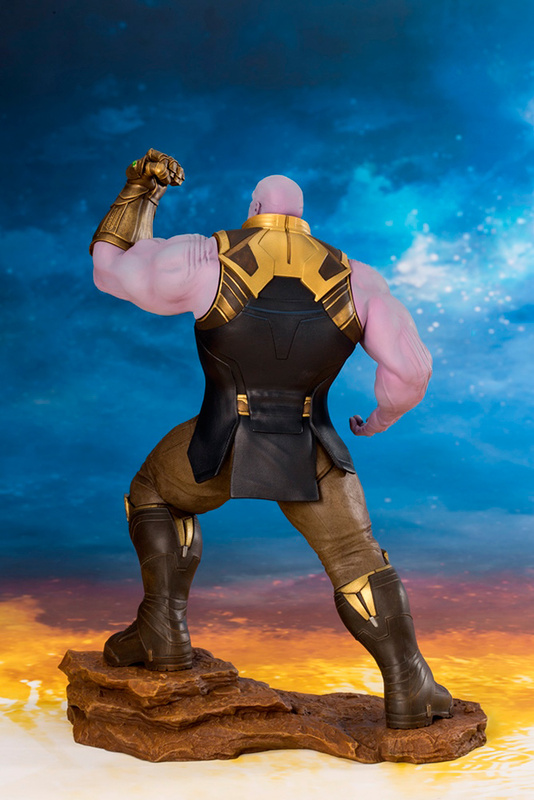 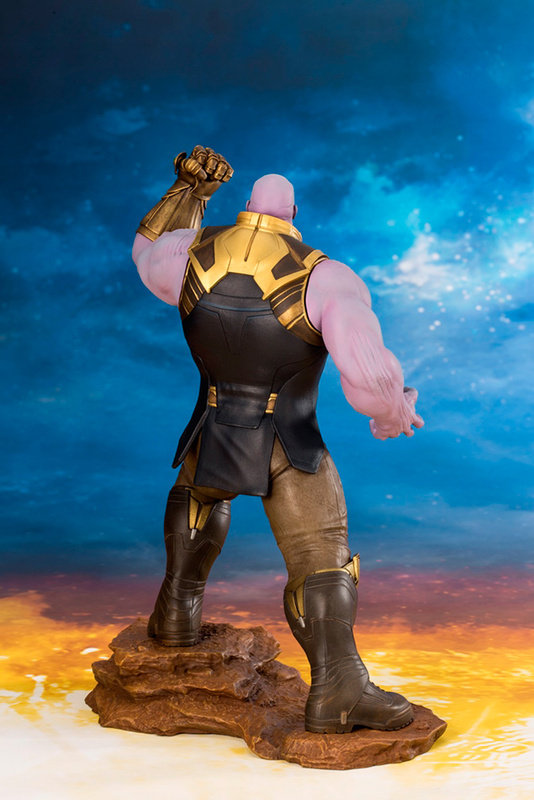 Sculpted in 1:10 scale, Thanos was created from the actual source files from Marvel studios and features all the details found in the cinematic counterpart, down to the distinct styling of his outfit and Infinity Gauntlet. 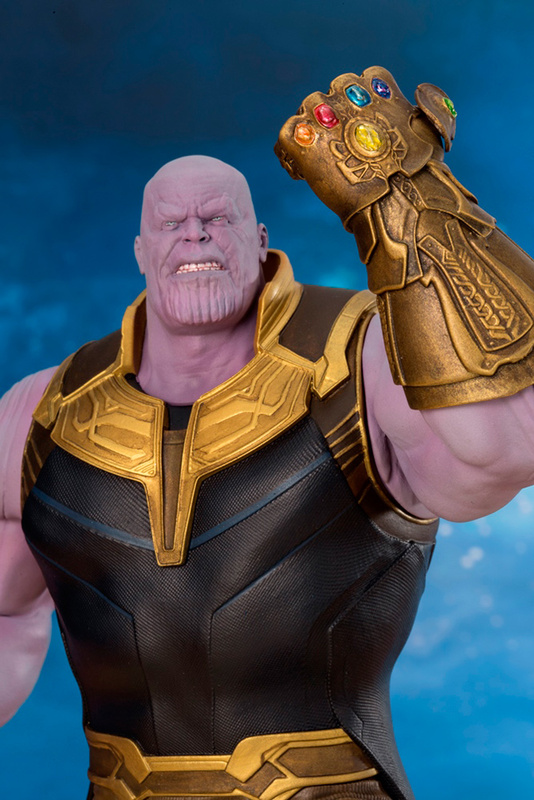 As with all Marvel ARTFX+ releases Thanos will be shelf ready with only taking minutes to assemble out of the packaging.